Good morning! Happy Friday to you all!!! Yes, It’s FRIDAY!!! Woo Hoo!!! I pray that you all have a blessed and safe weekend! There are people in your life that will insist on being the loudest voice in your ear. They will say any and everything out of their mouth with no regard to what it will do to your self-esteem, self-worth, emotions, mentality, or point of view on life. So I encourage you to turn the volume down on those people. Silence the noise in your life so that you can effectively hear from God. Sometimes we have to get away from the noise and sometimes we even have to be quiet in order to hear from God. Food for thought: Never allow the opinions (and they are just that at times) of others be so loud that they silence what God is saying to you. Have a blessed weekend. God bless you all! Thank you for your love and support of the blog! Good morning everyone! Happy Thursday to you all! Dear Lord, We come to you this morning thanking you for your grace and mercy. Thank you for watching over us while we slept and allowing us to rise this morning. Lord we thank you for being a sweet and loving God. Lord forgive us of each and every sin that we committed. The sins that were spoken and unspoken the sins that were thought and even the ones acted upon. Lord please reveal to us anything that we have done that was outside of your will, that we are not aware of, so that we can make those things right. Lord I come to you with a heavy heart but one full of hope. Lord protect our children from the violence that is entering into their schools and in our neighborhoods. Raise up leaders that will take the young and misguided under their wings and show them the way, YOUR way to a better life. Lord someone stands in need of restoration within their family. The enemy is busy trying to kill, steal, and destroy your chosen people. And we stand together firm on your Word declaring the devil a liar. he has no place in our life or in our home. Lord continue to cover the leaders of this country that they may make the right decisions for the people. Lord I pray that people will set aside differences and even dominations and come together in prayer to the Most High God-Jehovah! Lord you are a provider, a comforter, a strong tower, a friend, a peace maker, a healer, a teacher, a way out of no way and we need you today. Lord we come standing on your promises and we walk in assurance knowing that you will never leave nor forsake us. Lord continue to cover each and every person reading this prayer today. Whatever they stand in need of Lord provide it as only You can. Lord tear down walls that need to be torn down. Repair relationships that need to be fixed. Elevate your people Lord that we may bless Your name. You are a mighty God, You are an Awesome God and we thank you. Lord We thank you for being God. Thank you for caring for us beyond us caring for ourselves. Lord we thank you in advance for all that you have done and all that you are going to do. It is in the Mighty Name of Jesus Christ our Lord we pray, AMEN! Have a blessed day. Remember God is only a prayer away. Happy Wednesday to you all! Praise God for the middle of the week. For me, it means I’m almost at the weekend. I bless God for His covering even during busy times at work, church, and home. God has a way of slowing things down long enough for you to regroup and press on. I just wanted to share that this morning. 24 Declare His glory among the nations, His wonders among all peoples. 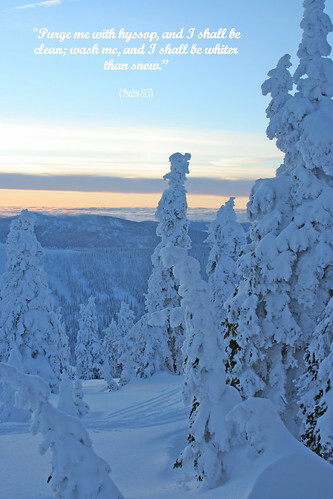 25 For the LORD is great and greatly to be praised; He is also to be feared above all gods. There comes a time in everyone’s life where we have to decide who we will serve. There comes a time in everyone’s life where we have to profess with our mouth who we believe in and what we live for. When that time comes you cannot and should not wait to see what everyone else will say or do. I serve a great God. I will declare His glory among everyone I encounter. When people see me or read this blog or see my post on Facebook or receive an email or a card in the mail or see me in ministry, I pray that they see His glory. I pray that the God in me is illuminated. Why? Because without Him I am nothing. Without Him I am incapable of performing any of these task. I serve a great God because He thought enough about me that He sent His only Son to die on the cross for me. I serve a great God because He loves me so much that He allows me to become emptied of myself and filled with His spirit. He uses my hands to serve others, He uses my mouth to speak encouragement to His people, He uses my feet to dance and glorify Him, He uses my heart to empathize and sympathize with His people, He uses my eyes to see the good in people, He uses my mind to create lyrical masterpieces. How great is my God that He would use me for His glory? HE IS SO GREAT! I have to make my declaration to Him before everyone: I love the Lord and I serve a great God who loves me so much that He allows me to walk in greatness. He is worthy of all the praise and I don’t care who is watching me, I SERVE A GREAT GOD! Food for thought: How often do you reflect on who you serve? When was the last time you made it known to the world? God is too great to be ashamed of. Many of us walk around lost. We walk around as if we do not know our purpose in this life. We spend all of our energy and time working towards “mans” purpose and guidelines. We become exhausted and useless to God, ourselves, and others. What are you walking towards? Why do we spend so much energy chasing behind “no-good” men and women? Why do we spend so much time trying to impress someone who could care less about your progress in this life? Why do we exhaust all our positive possibilities for negative ones? Why? Because we often forget or don’t even know what our purpose is and when we find out or remember we refuse to walk in our purpose. URGENT ANNOUNCEMENT: Someone told you that you would never amount to anything because your parents didn’t amount to anything. 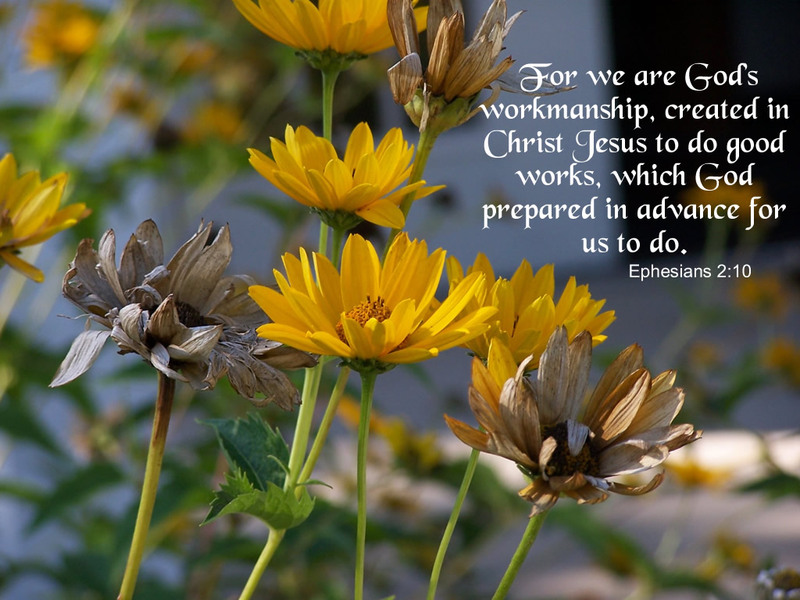 Let them know that you are Gods workmanship, created in Christ Jesus not created in your parents. Your parents where the means in which you were born, but you were created in Christ Jesus. You were created in the greatest image. A flawless image! So you will be something and you will be something great. God prepared all of this for you before you were born and you NEED to walk in your purpose. He did not create you to be useless, confused, mistreated, or abused. He did not create you to complain, bicker and murmur. He did not create you to be defeated but to prosper! Get up and start walking! Stop doubting who you are. Stop second guessing your destiny. Stop allowing negative influences to distract you. Walk in your purpose. You are too great to sit on the sidelines. You are too special to allow your dream to pass you by. I don’t know who I am talking to today, but God wants you to walk in your purpose. Stop procrastinating and start walking! Don’t delay what God wants to do in your life today! Have a blessed day walking in your purpose! You mighty child of God! Good morning! Happy Monday to you all! I pray that everyone had a blessed and safe weekend. Give God some praise for waking you up this morning! He didn’t have to do it, but He did! When was the last time you asked the Lord to purge you of some things? When you go to God and ask Him to purge you of somethings get ready for the testing of your faith. There are somethings and even some people who need to be purged from your life. Unfortunatley, many of us will not ask to be “purged” because we don’t want to let go some of the things that we are holding onto. Jesus cleared away and legally wiped out all of your sins when He died on the cross. He wore your sin and shame and took it to the cross with Him. How great is our God that He would send His only Son to wear our sin and clear our debt? Jesus did the unthinkable and we have the audacity to contemplate whether or not we want to get rid of some behaviors, attitudes, mentalities, and even people. What are somethings that need to be purged from your life in order to better serve God? What are some impurities that need to be cleared away from your heart and mind? Food for thought: How can you make room for the love of God and His blessings if you are not willing to get rid of the “garbage” that is filling the available space in your heart? Have a blessed day and think of somethings you need God to purge you of. It’s Friday! Happy Friday to you all! I pray that everyone has a blessed weekend. Always make time for the Lord and you will find that you have time for everything else. If you make time for everything else you will not have time for the Lord. Make Him first and all things will line up in order. Today’s thought is really simple because I believe everyone needs to spend time answering this question for themselves. Are you too busy working for the Lord that you are useless to everyone else? I know you want to ask me a million questions and I know you want to say, but “Nicole, isn’t working for the Lord good?” Ponder the above question. Sometimes as believers we can become too busy that we forget how to relate to people. We become too busy that we neglect our basic duties as parents, as spouses, as siblings, as children, as employees, as volunteers, and even as friends. Some of us spend more time at the church then we do in our homes. God has not called us to neglect the things and people who He places in our care. Spend today and this weekend chewing on this question. Seek God in revealing to you the answers. Never take for granted the love of Christ. It’s a love that can heal wounds, that can stand the test of time, that can revive the spiritually dead, that can put a smile on your face and a song in your heart. With His love you can conquer the world. With His love you can reach the unreachable. With His love you get a new chance at getting it right. Thank God for His love!!! Spend time thinking about Gods love. It’s deeper than we really know. Good morning everyone! It’s Wednesday! Take a minute to have a mid-week praise break! Give God praise for getting you this far. 7 Rest in the LORD, and wait patiently for Him; Do not fret because of him who prospers in his way, Because of the man who brings wicked schemes to pass. There are times in my life where I am just tired. There are also times in my spiritual life that I am tired. Have you ever felt exhausted by life and all that it brings? Be honest. There is no right or wrong answer. We’ll I get exhausted. As a working mother and wife who is active in church and in other activities, I often become tired. Now as a believer, quitting something or giving up is not an option. Have you been so overwhelmed with your projects and responsibilities that you have wanted to give up? We’ll let me encourage you not to give up rather rest in the Lord. There are times in everyone’s life where we need to rest. To people on the outside you might look like you have given up or given in, but reassure them that you are resting in the Lord. Remind yourself daily why you are living this life its to please the Lord. Then remind yourself that it’s okay to rest as long as you rest in the Lord. Rest all of your anxiety, fears, doubts, troubles, good times and bad times in the Lord. When people question your decisions, tell them “I’m resting in the Lord”. It’s good to rest in the Lord because when you rest in His arms you can spend time listening to what He has to say to you. Never be so busy doing the things of God that you forget to build an intimate relationship with God. Since we all have to rest at some point in time, we might as well rest in the safest place and that is in the LORD! Have a blessed day resting in the Lord. Good afternoon! Happy Tuesday to you all! Never get comfortable in your worship experience always look to go higher and higher in the Lord. Everyone in the church serves on a ministry. The problem is there are a lot of people who are filled with unused gifts. They currently serve on the “pew ministry”. They are faithful in the fact they attend church on Sundays and bible study during the week day. They tithe. They pray. They read and study the Word of God. And they do all of this while serving on the pew. I may be talking to you, and if I am let me encourage you to get off the pew because God wants to use you. There are a lot of believers who are “spiritually constipated” You are filled to the brim with a gift or multiply gifts and they are waiting to be used. Instead of allowing your gifts to flow you hold back. When you hold back on using your gift you are denying yourself an opportunity to worship God. When you hold back on using your gift you are denying other people the opportunity to see God through you. When you hold back on using your gift you cause a delay in the growth of the church. I know you may find this hard to believe, but what you bring to the church is valuable. Get off the pew, God wants to use you. 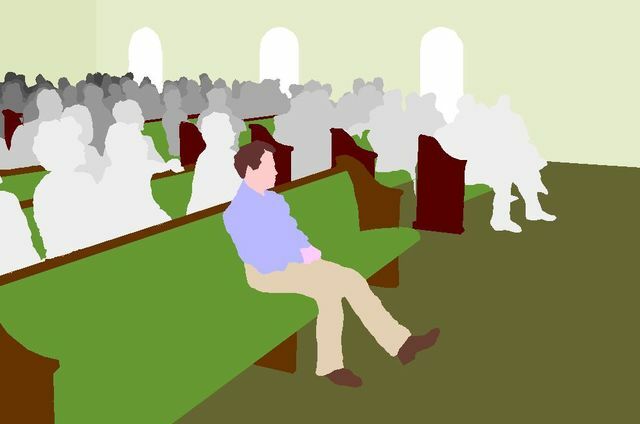 The church will always function, but imagine how much better it would be if everyone serving in the pew ministry would get up and go to work in their gift. GET OFF THE PEW, GOD WANTS TO USE YOU! I know you think your favorite seat will miss you, but trust me there is a greater purpose for you. A higher level of worship is in your gift, a higher level of praise is in your gift, a higher level of ministry is in your gift, someone’s breakthrough is in your gift, someones inspiration is in your gift. GET OFF THE PEW, GET OFF THE PEW, because someone needs you and God wants to use you! Not sure what your spiritual gift is? Read the Word of God and pray that God may reveal your gift to you. Speak with your local ministries and see what classes are available in your congregation. Read up on spiritual gifts. Food for thought: God wants to use you for His glory. Isn’t that a good enough reason to get off the pew? Have a blessed day! I look forward to hearing about how God is using you! Good morning! Happy Monday to you all! I pray that everyone had a blessed and relaxing weekend. We all have or currently are or will encounter some negative people, tough situations, jealous people, uncomfortable work, home, and even church environments. Sometimes we walk into these situations without protection. We walk onto a battle field with no weapons or shields. When you are caught off guard by negativity your flesh response is to go off, get defensive, or even shut down. I’ve learned that as long as I allow God to be my shield I will always be protected. Many of us just have to allow God to shield us. Stop thinking that you have everything under control. NEWS FLASH: YOU DON’T! If you operate without the Lord you will always fall and fail. But when you let God shield you, you will always be prepared for whatever comes your way. Let Him shield you. Cry out to the Lord when you see trouble coming your way. Cry out to the Lord when you are having trouble in your home. Cry out to the Lord when you are having trouble on your job. Cry out to the Lord when you are struggling at church. Cry out to the Lord when your children are misbehaving, your spouse is acting ugly, your money is looking funny, your neighbors are talking about you, your family is not talking to you. CRY OUT to the Lord and let HIM SHIELD YOU! HE will hear your cry and He will shield you! Do not try to respond without Him. If you do you may say something that you will regret, you may hurt someones feelings, you may hinder someone, you may hurt yourself or you may cause more damage. LET HIM SHIELD YOU! LET HIM SHIELD YOU! LET HIM SHIELD YOU! Have a blessed day letting God shield you!